Ipe is among the most durable lumbers on earth, with exceptional resistance to decay, rot, and insect attack. Ipe was reportedly used for the boardwalk along the beach of New York City’s Coney Island, and was said to have lasted 25 years before it is needed to be replaced: an amazing lifespan given the amount of traffic and environmental stresses put upon the wood. 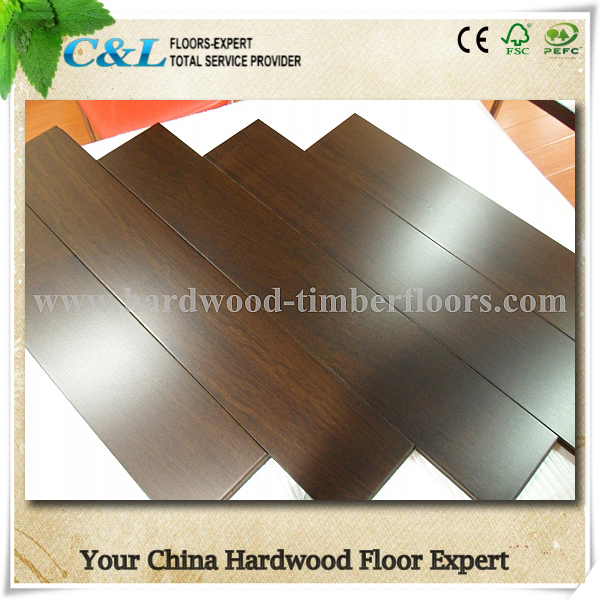 C&L Hardwood bring the Ipe(brazilian hardwood) wood board in stock to mill in china factory as interior prefinished solid timber flooring and unfinished outdoor flooring or decking in various dimensions. Most of the raw ipe(brazilian walnut) wood comes in selected and better grade with KD 12% or in Custom made humidity.The timber humidity is strictly controlled from the first hand lumber cutting factory.And each board before shipping out will be tested by humidity devices. Our customers can enjoy our factory price below 4.9USD/S.Q.F for prefinished 5"X3/4" T&G IPE wide palnk hardwood flooring.It will save you up to 70% comparing with the local sales agent!